The WFSC and NAFA believe that the future of wild fur prices should not be left to fate. We are working together to ensure that the auction room is full of buyers when your furs go on sale - now and in the future. 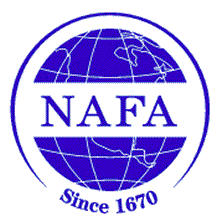 Give us a chance to prove how NAFA can work for you. Ship us some fur. Assess the results and decide for yourself. You will never look back. The mission of North American Fur Auctions is to be the premium seller and consignor service provider of the highest quality, origin-assured and broadest selection of fur pelts globally.